I’ll be doing reviews for quite a few of them in the coming weeks, and I’m super excited to introduce this first one to you: Smart Cookie, by Christi Johnstone who authors the fantabulous blog, Love From the Oven. Christi produces nothing but GORGEOUS work (um, hello pumpkin cupcakes with cinnamon swirl frosting! ), and her book is completely stunning. Not to mention, it’s so much fun!! It’s all about taking store-bought, pre-made cookies and turning them into something completely different. Like Lofthouse Sugar Cookies, for instance. 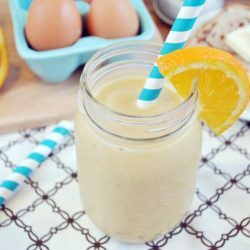 I was instantly drawn to this recipe in Christi’s book. 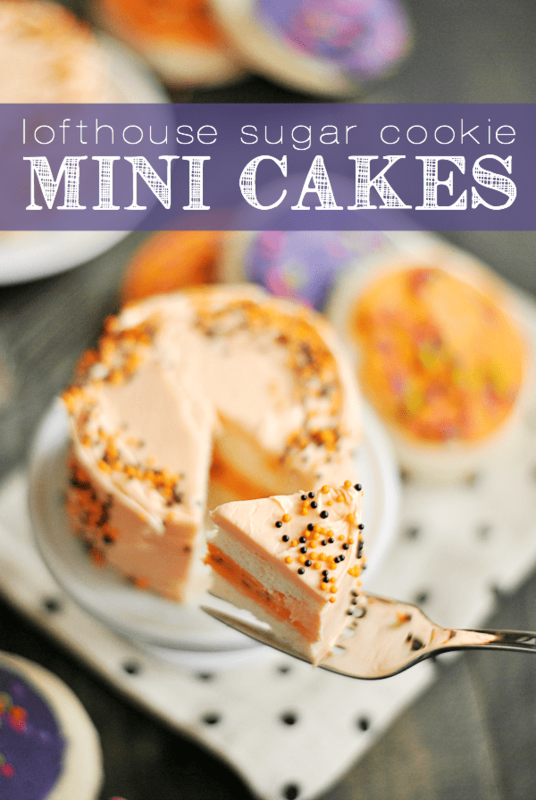 I have absolutely no resistance-power when it comes to Lofthouse sugar cookies to start with, but making them into the most adorable mini cakes ever is just way too much cute-ness for me to ever say no to! I love, love, love that you can adapt these so easily to any holiday throughout the year. In Christi’s book, she’s used the iconic pink frosted cookies (which I heart, and, now come to think of it, would have been super appropriate for BCA in October!). But look at how cute orange and purple are for Halloween! These cakes are so, so, SO simple to make. And so freaking adorable. I mean…. just really. And there are so many other amazingly fun and cute ideas in Christi’s book!! I’m providing a link to buy it on Amazon, but I’ve already seen it in my local Barnes & Noble– so that’s an option too! Either way, be sure to pick up a copy. It’s such a bright, beautiful addition to any cookbook collection. 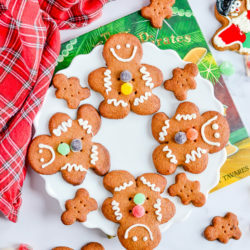 Cut out each cookie with a round cookie cutter (should be slightly smaller than the cookies), making them all exactly the same size and shape. Place six of the cookies onto a serving plate OR onto a parchment lined work space (I preferred frosting mine on parchment then using a spatula to move them to the serving plate). 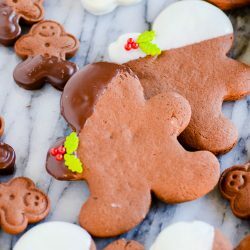 Place a cookie on top of each cookie, frosting side down, pressing gently (you can even add a little canned frosting in between the cookies to act as a "glue"). Spread the frosting on the tops and sides of each cookie cake (the more frosting you add at once, the easier time you'll have spreading-- plan to use the whole can!). Garnish each cookie cake with sprinkles. You can even do some decorative piping! These cakes are too cute! I love how they can be made for any holiday! Love these!! Her book is so fabulous! Oh my word! So adorable! These could not BE more adorable!!! I’ve got a Halloween party coming up and these would be perfect. These look so fun! That book is next on my list with Amazon, so excited!!! SO cute – just pinned!! These are so cute! Especially with all the fun holiday potential with the great frosting colors!